We took a little time off in the past few weeks to roadtrip in the Pacific Northwest and to attend ICON, but we’re back now and ready to work! We’re continuing to dig back through the archives to post work did during the year. We don’t get a lot of call for die-cuts, so we were glad this business card came in from La Closette which allowed us to flex our die-cutting muscles. Printed in a full flood of black on the front of the cards and black on the back, it’s keeping it simple. 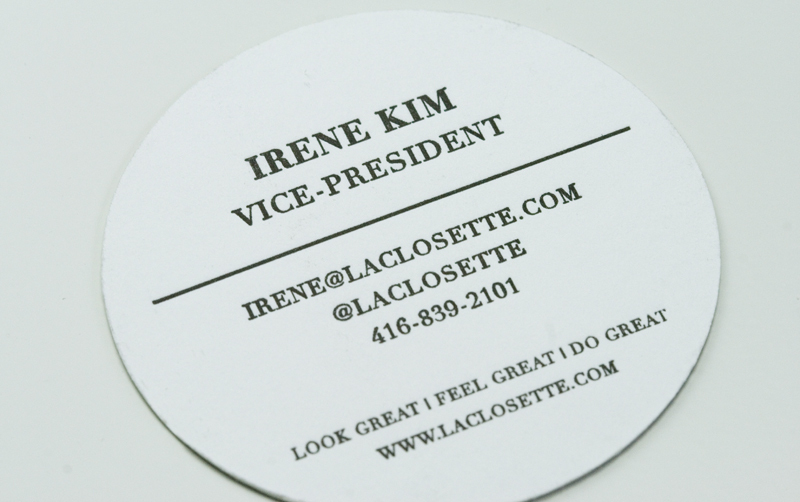 Throw in a round die-cut and it gives it that extra dimension needed to make a really stunning, classic business card. 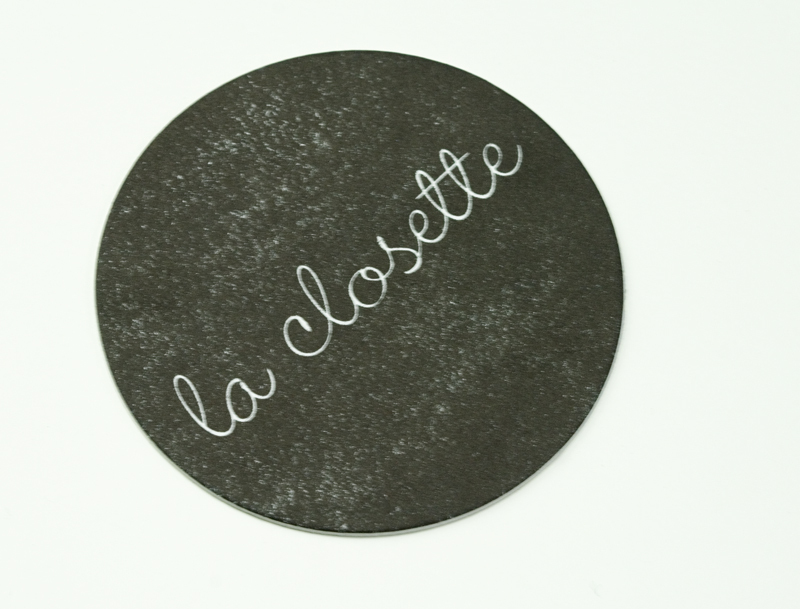 Printed on Crane Lettra, pearl white, 600 gsm, 2.5″ in diameter in PMS Black.